During his run for President of Peru, Ollanta Moisés Humala used populist slogans and Hugo Chavez, the late President of Venezuela, showed great restraint when talking about him. Obviously, then Venezuelan leader did not trust the man. And he was proven to be right about him. This is a routine scenario in Latin America: a politician losing public support tries to improve his public image at home and abroad with the help of the United States. The «helper» pursues its own interest and national sovereignty is the price to pay. 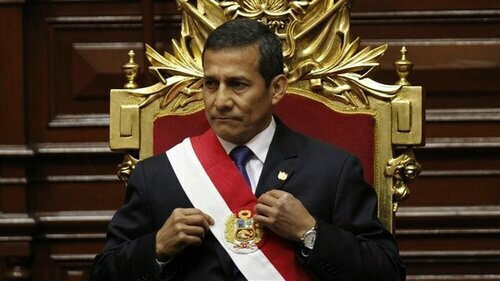 No doubt, Peruvian leader Humala is one of the politicians controlled by Washington. He is ready to do anything in order to preserve his position. According to the GfK (the International Institute of market and social research) poll conducted in September, the President’s approval rating dropped to 12%, the lowest result since he took office. The disapproval rating of the President reached 85%. Thecorruption scandal regarding the First Lady damages the Humala’s image. Nadine Heredia is being investigated for suspected money laundering. The funds were allegedly used to finance President Ollanta Humala's election campaign. Humala and the tycoons of his inner circle want Nadine as the next president to continue the implementation of neo-liberal reforms launched by her husband. These plans fan the flames of discontent even more. The US President Barack Obama has said recently that Lima is a reliable ally of the United States. He also praised Peru as the «envy» of the world for its impressive economic growth. US officials spare no effort singing praises to the President Humala. Being grateful, he, in his turn, cooperates with Obama to facilitate the accomplishment of the geopolitical mission, which envisages Peru as a US foothold in Latin America. The Humala’s policy aimed at betrayal of national interests has evoked growing indignation in the country. In some cases, people throw stones and eggs at the President chanting the word «traitor». The intensification of the Pentagon and US special services activities in the country further spurred the hostility towards the President. 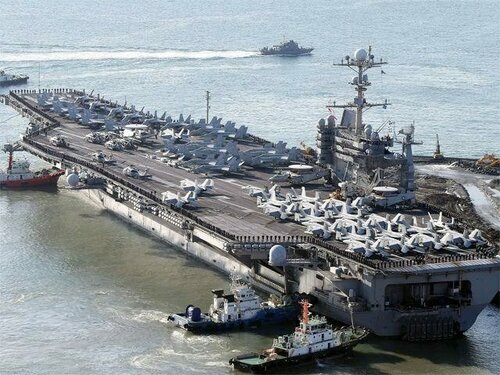 In early September, thousands of Peruvians hit the streets to protest the «friendly» port call of US aircraft carrier George Washington. They demanded to put an end to military cooperation with the United States. The action culminated in burning a US flag outside the United States’ embassy. Many people recall that seven years ago, when the President led the Peruvian opposition, Humala expressed concern over US permanent military presence in the country and the plans to build more facilities for the United States armed forces. Those days he slammed the new rules introduced to allow foreign military presence on Peruvian soil. Humala was angry with the US plans to expand Plan Colombia throughout the whole region. The plan envisaged getting a hold of strategic areas in Amazonia to put the neighboring countries, including Ecuador, Venezuela and Bolivia under control. Thus, step by step the United States was trying to transform Peru into its «strategic partner». Today, the Peruvian President has drastically changed his policy implementing the very same ideas of his predecessor Alan Garcia that he used to call «unpatriotic». The leadership of Brazil, Venezuela, Ecuador and other countries of the region openly express concern: Humala has widely opened the door to let the United States get a foothold in Amazonia. There are US military bases in Peru: Iquitos, Nanay and St. Lucia. According to Argentinian journalist Atilio Borón, there are six more US secret military facilities used to fight drug trafficking and terrorism. This estimate excludes three Peruvian port cities permanently used by the US Fourth Fleet. Marines and US special services operatives use the facilities located in the valleys of Apurímac and Ene rivers. The US propaganda paints this region as a hotbed of instability known for criminal activities allegedly conducted by drug cartels, separate formations of Sendero Luminoso (once a powerful guerilla group) and illegal gold miners. According to the Drug Enforcement Administration (DEA) statistics, hundreds of kilograms of cocaine and other drugs are daily exported from Amazonia to the United States and Europe. The Peruvian army and national police have always been capable to counter drug trafficking on their own, but the US propaganda effort has been too strong. Peru has capitulated and agreed that Amazonia is the region the real threat emanates from. That’s how the United States has joined the operations against terrorism and drug trafficking in Peru. It’s really surprising that the intensive activities of the United States in Peruvian Amazonia have not brought any tangible achievements over the last ten years. The US presence is growing, but the results are dubious: the cocaine produced in Peru is frequently confiscated in Bolivia, Venezuela and Ecuador. The US Drug Enforcement Agency and State Department use the successes achieved by «populist regimes» in the fight against drug trafficking only to blame them for inefficiency! At the same time, the United States spares no compliments for Peru. The US Ambassador to Peru Brian A. Nichols has stated recently that the government of Humala leads the fight against drug trafficking in Latin America. According to him, «Last year was a landmark year, several records were broken for coca leaf eradication, interdiction of chemical inputs, and control of cocaine ready for export, so Peru is the leader in the region», he told Andina news agency. The ambassador said 25,000 hectares have been cleared so far this year and he believes that the last year’s figures would be surpassed. «We fervently hope we will break the record of 31,000 hectares eradicated last year», he affirmed. Nichols said the United States analyzes the new scenario and will submit an opinion later. He reaffirmed that both nations are «allies and friends» against drug trafficking. «Peru is firmly committed to act not only within its territory, but at the Organization of American States (OAS) and the United Nations (UN)», he pointed out. This way ambassador Nichols confirmed that Humala should unconditionally support the US international stance on the problem of drug trafficking. Experts note that the Pentagon gives priority to small military facilities in Peru because they can hardly be associated with full-fledged forward operating bases. Americans call them cooperative security locations (CSL) or forward operating sites (FOS). These facilities are often used to provide cover for the activities of Central Intelligence Agency, US military intelligence and the Drug Enforcement Administration. Formally these sites built by the US Army engineering units are under the operational control of Peruvian armed forces. In reality, the United States calls the shots. The CSL and FOS sites could be transformed into large operating bases, if need be. The sites are limited in size. It allows the military and political leadership of Peru to negate the obvious fact of US military presence in the country. The foreign ministries of Brazil, Argentina, Venezuela, Ecuador and Bolivia believe that the strengthening of the US military presence in Amazonia is a threat to their national security. The number of US military instructors is growing and more arms are transported to the country under the pretext of the need to fight drug trafficking. The intelligence gathering activities have been intensified. The Brazilian part of Amazonia has become the key target for the US special services. After the spying scandal, when it was revealed that Brazil’s top leadership was under US surveillance, the United States started to increasingly use the opportunities provided by the «regional ally» to monitor the events in that country. Today Brazil is going through a serious social and economic crisis. The Obama administration has toughened its policy towards the government of Dilma Rousseff. The US efforts to make the Brazilian President resign with the help of thoroughly orchestrated «protests» of opposition and agents of non-government organizations have failed. It’s worth to note that the United States tried to revive the debates on «the problems of Amazonia» against the background of protests. The initial thesis was evident: it’s impossible to cope with the «destructive tendencies» in the region without the United States. USS George Washington visited Peru in early October. The real mission of the aircraft strike group will hardly become known in the near future. No one in Peru can say for sure what kinds of personnel and equipment were transported by the aircraft carrier to the military sites in Amazonia. This issue is widely discussed by Peruvian media. Media networks offer different versions, including the Pentagon’s plans to prepare back up facilities to disperse the nuclear weapons in case of world war. No one of those who have participated in the discussions has expressed any doubt that the Pentagon can undertake such a hazardous adventure. And that is the most disturbing fact.